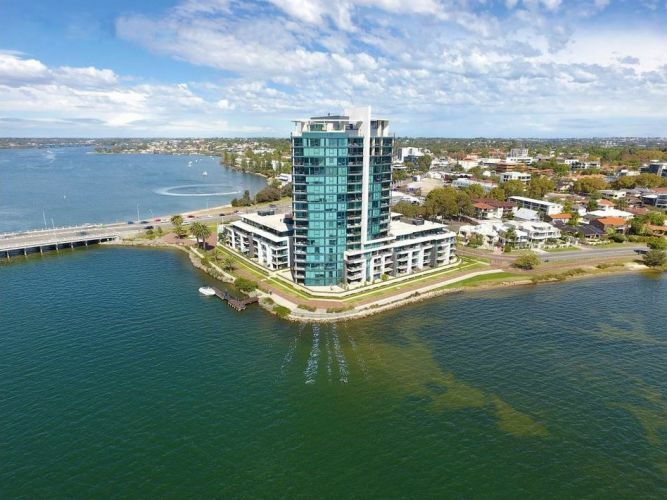 LUXURY living is on offer in this modern apartment with panoramic views of the Swan River. 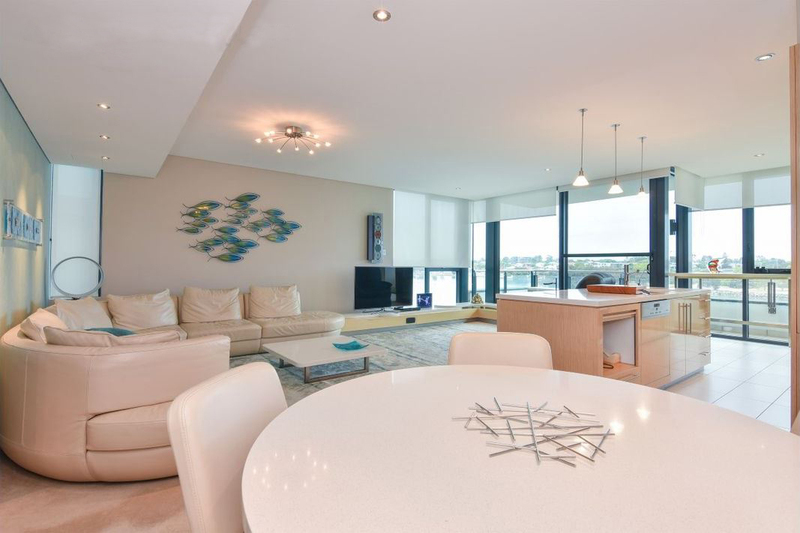 The open-plan living and dining area takes full advantage of these views with a wall of floor-to-ceiling windows and has plush carpet, feature light fitting, downlights and pastel colour scheme. 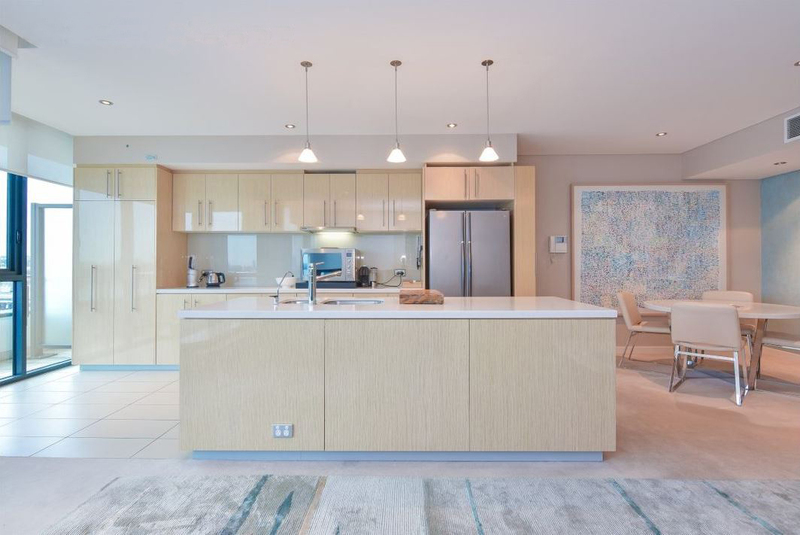 The kitchen is also in the open-plan zone with tiled floor, feature lights over the island bench, stone benchtops, plenty of cabinetry, stainless steel appliances and double-door fridge recess. 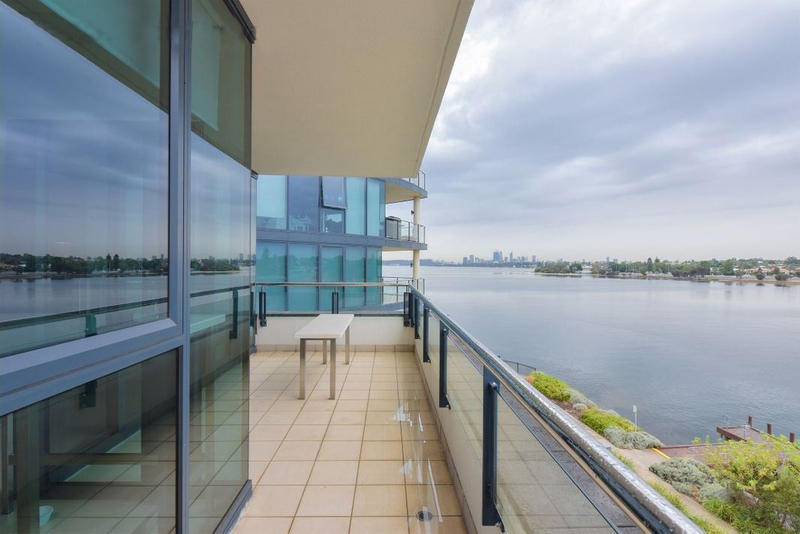 Step out on to the spacious balcony with an outlook to the CBD – perfect for enjoying the sunrise or relaxing in the evening. The carpeted master bedroom also has access to the balcony, mirrored sliding door built-in robe and ensuite with double vanity, shower and toilet. A second bedroom has a mirrored built-in robe and use of the main bathroom. 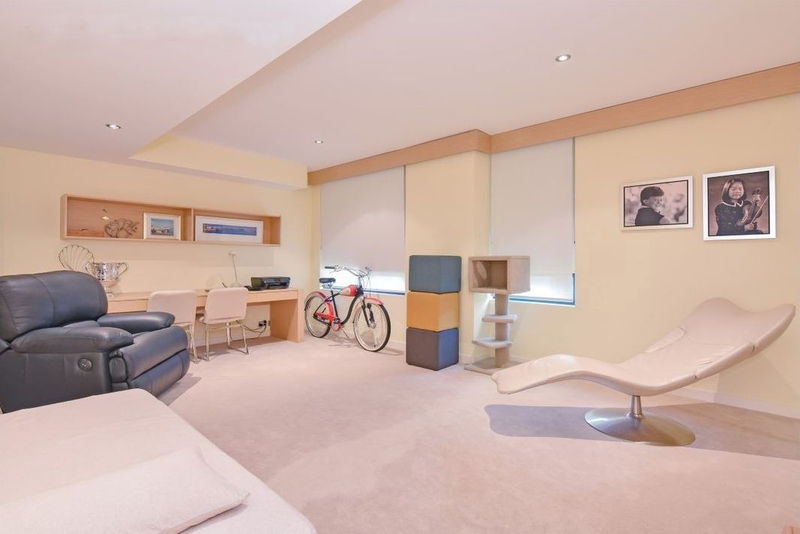 The apartment also has two secure undercover car bays, ducted reverse-cycle airconditioning and access to the complex’s shared amenities, including a swimming pool, gymnasium, steam room and direct access to the riverfront. At your doorstep are the Raffles Hotel, restaurants and other facilities such as a post office, shops, train station and freeway access.